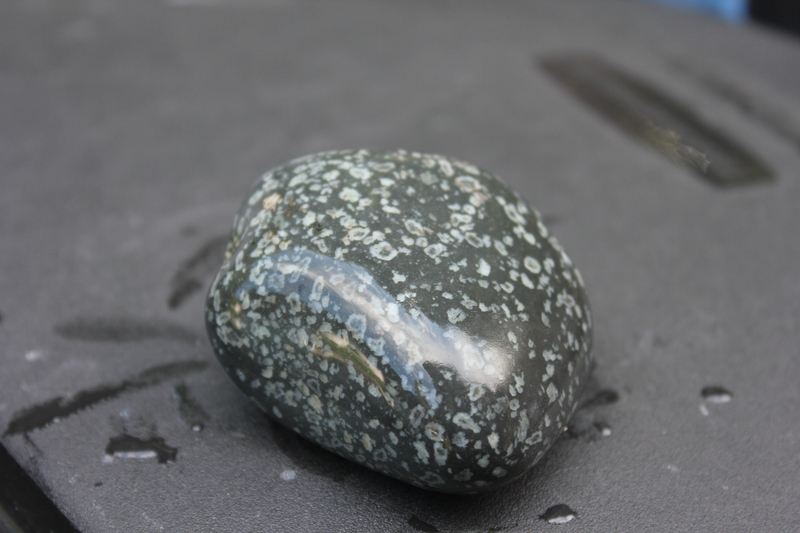 I was a little bit scared the first time I put rocks in my Lortone Rock Tumbler. I didn’t put the best ones in because I didn’t want to ruin them. Who knows what a rock tumbler really does! But it only took until my first rock tumbler opening to fall in love with the hobby. 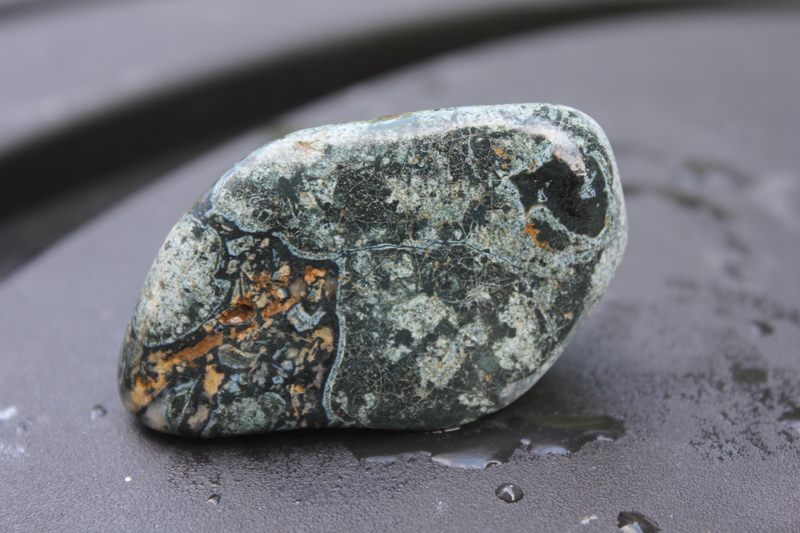 All that goes into a rock tumbler is grit, water and rocks. Rotary tumblers typically take a week per stage (usually four, from coarse grind to polish), so the wait can make you forget just what beauties you’ve got spinning in the shed. What comes out is a muddy slurry . 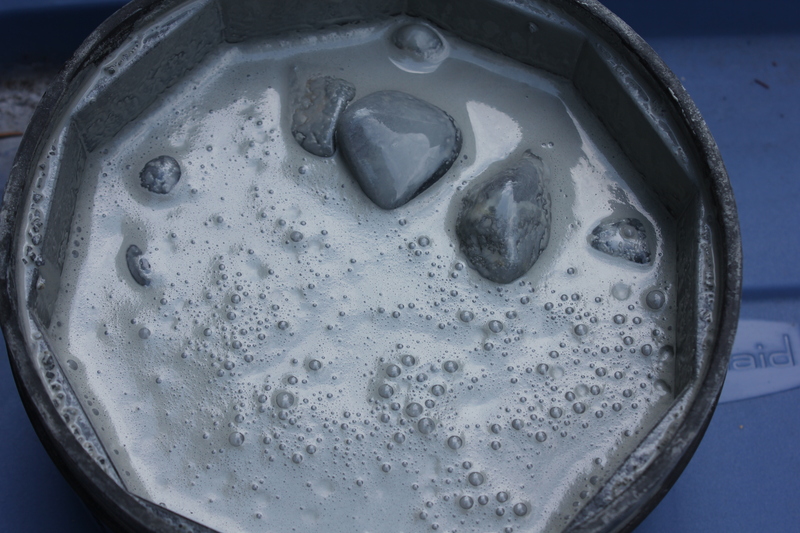 I think I had too much water in my rock tumbler for this one, but here’s an idea of how things look when you pop the lid after a week of coarse grind. At this point, I’m not too excited about my rocks. Looks like a mess, maybe I put in too much water, chips crawling up the sides, everything muddy. 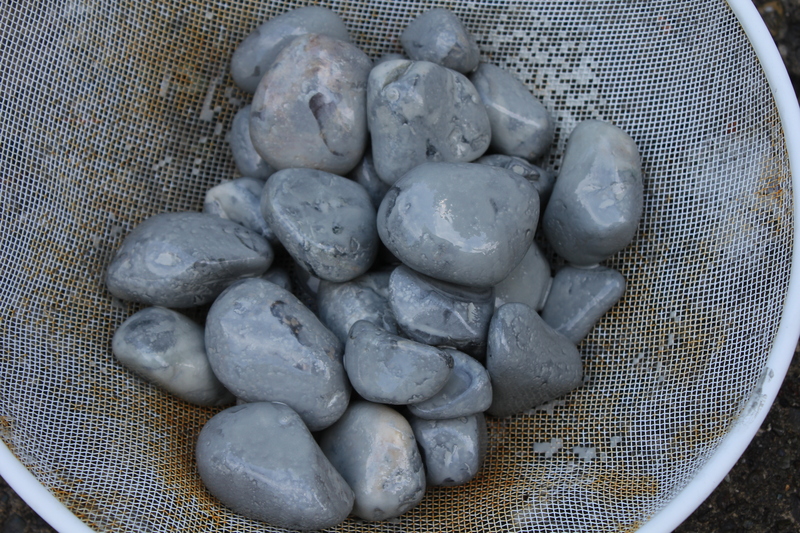 I dump the rock tumbler slurry through a sieve and catch the rocks. Still, they don’t look too hot yet. 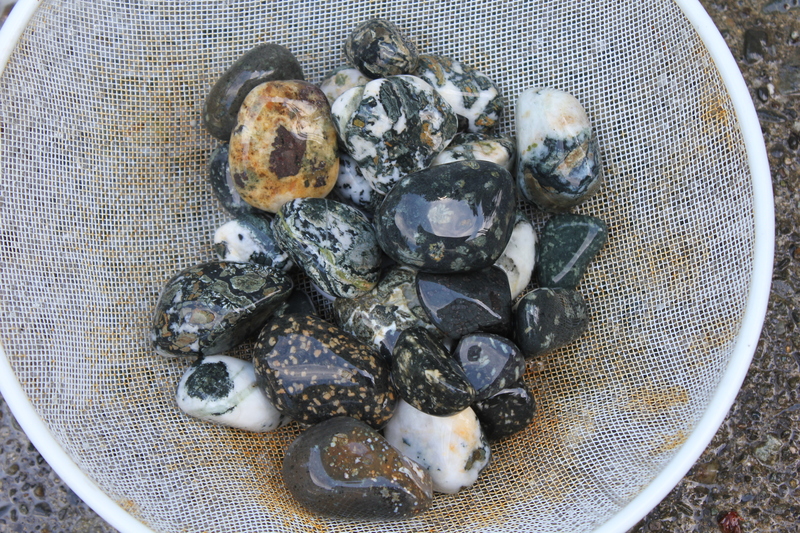 Here are my slurry-covered rocks from my rock tumbler. And then I get the hose and it’s Christmas! Boom! Same rocks, just sprayed the slurry off with a hose. There’s Dallasite jasper and Flowerstone and more in there. I love this part. I spray them totally clean and then go one by one determining which I’m happy with (smooth and ready for the next stage of tumbling) and which need more time. 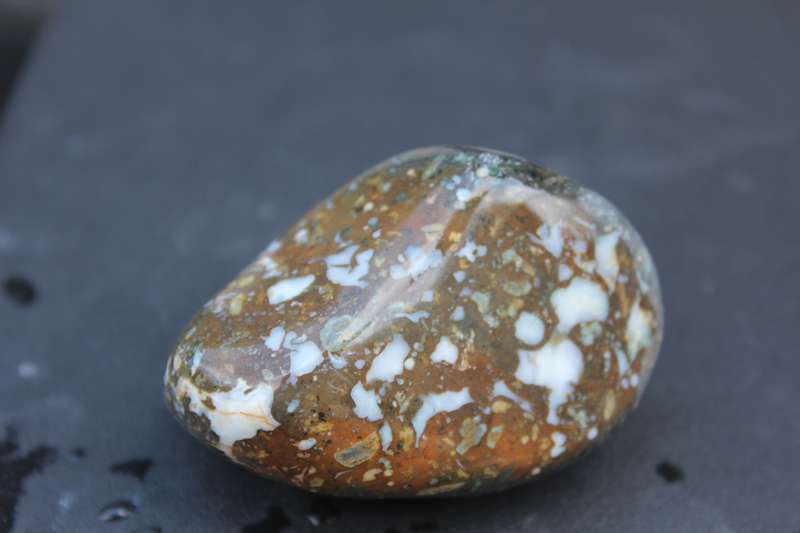 Check out that piece of Dallasite jasper! 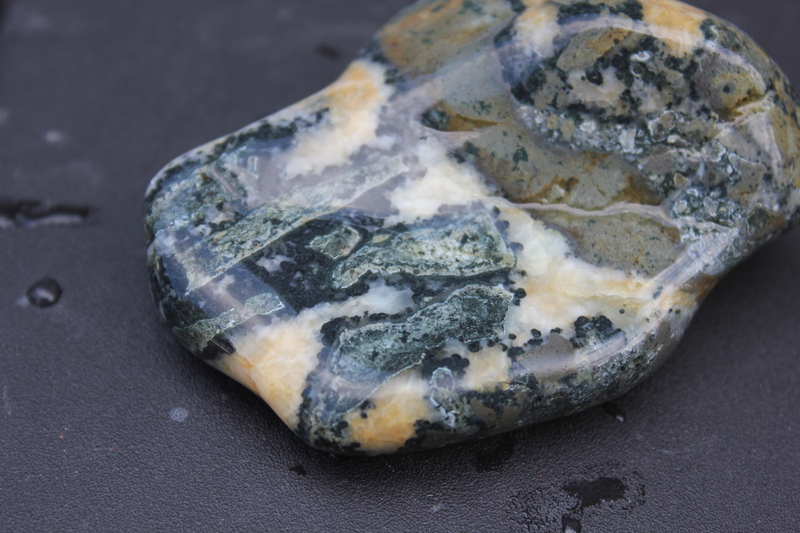 Black, blue, white, green, orange… Amazing Vancouver Island gemstone. The back of that Dallasite jasper piece. This one is the best I’ve tumbled so far I think. Below are a few more pieces from today. Opening a rock tumbler is like opening a big goodie bag on Christmas. Here’s a small piece of what I believe to be petrified wood from British Columbia. 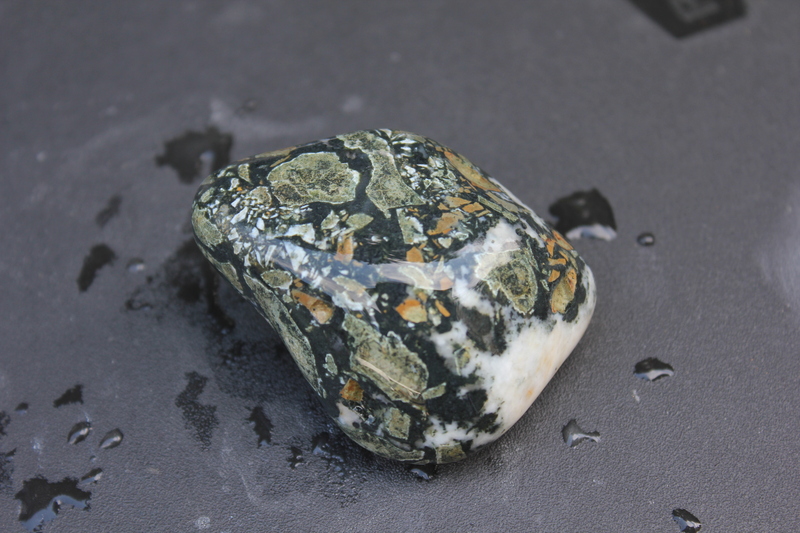 Here’s a basalt with feldspar porphyry that I put in with some Flowerstone. 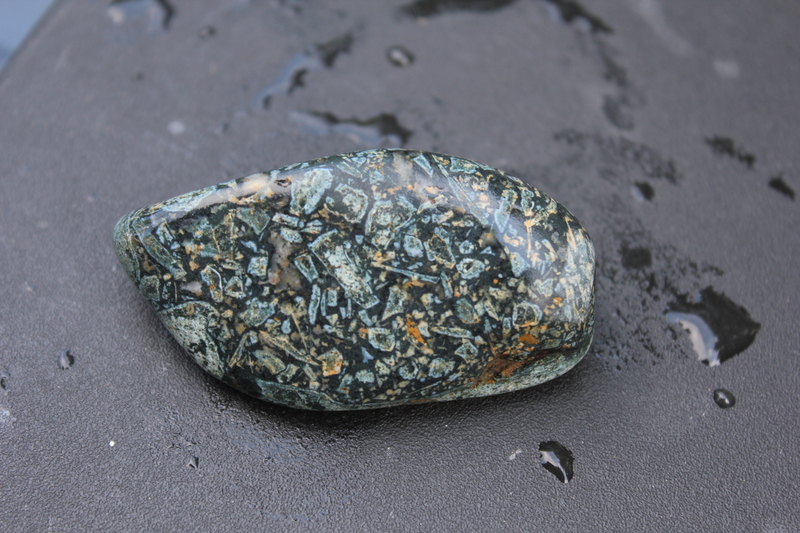 Here’s vesicular opal in basalt from Vancouver Island, British Columbia, Canada. 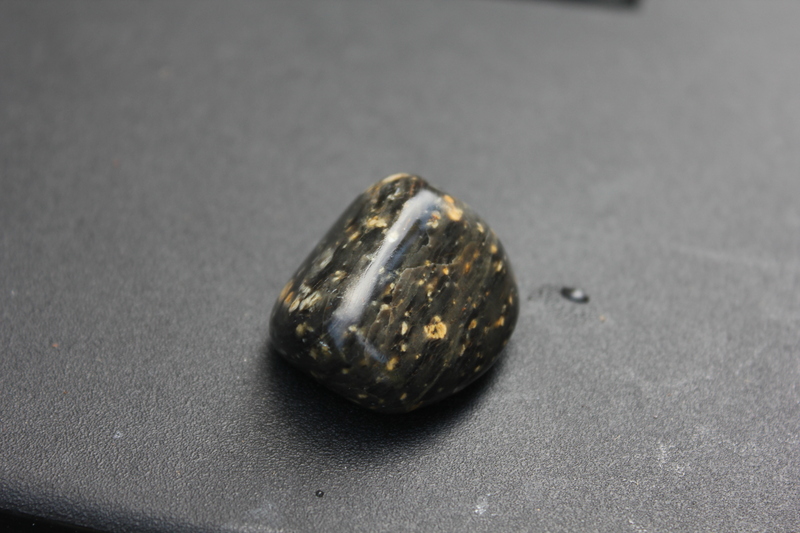 This piece has many resemblances to Dallasite jasper and clearly shows the black balls that come out with polishing. 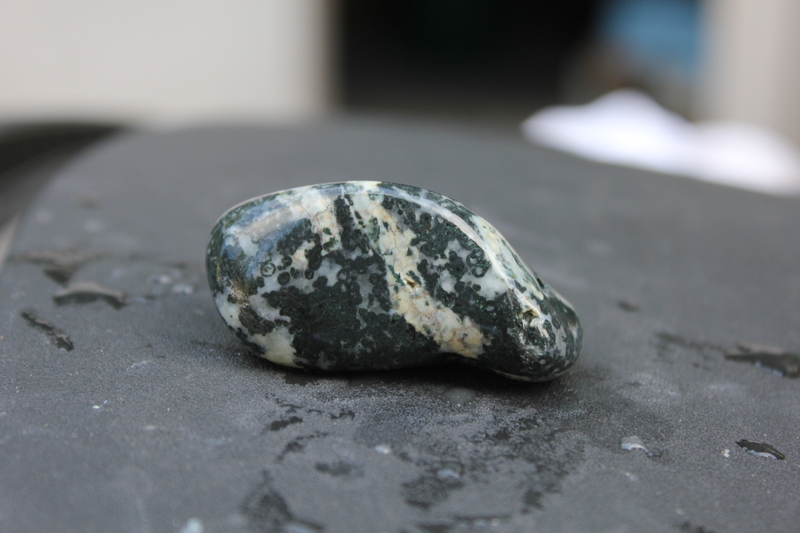 This Dallasite jasper rock from Vancouver Island is going to need more time in the tumbler, but you can see its beautiful black orbs on the creamy background. Finishing up with a regular old Dallasite rock. It’s beautiful nonetheless! Man those turned out good! Love the petrified wood and the opal. The killer Dallasite piece looks like someone carefully scribed special characters all over it. Wonder whodunnit and what does it say? It said to me, “Pick me up! I love you, Stewart!” I have lost myself a few times now staring at the designs in some of these Dallasite pieces.